A gamer’s delight, the SL5000 will hit the sweet spot for extreme gamers. 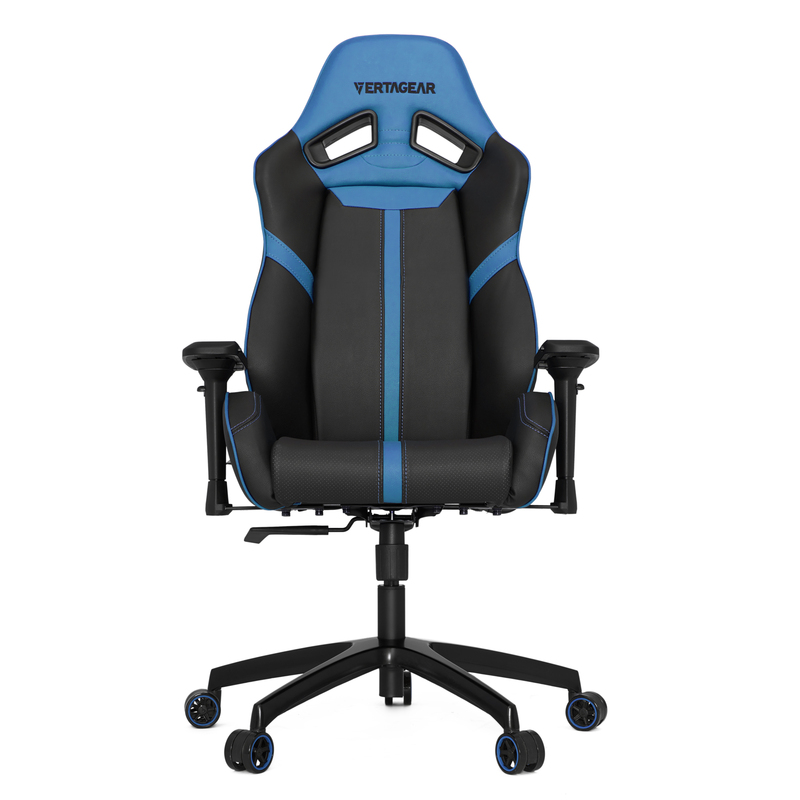 The racing-style gaming chair empowers your everyday gaming with the right features. Designed to give a wide range of adjustability that provides gamers with the best comfort and ergonomic support in every position for extended periods of time. The high backrest is designed to provide greater neck, shoulder, and lumbar support. A patent pending “Slide-In” design mechanical structure that requires no more than one person to assemble. A sturdy and rigid steel frame support ensures long lasting durability, while keeping the chair secure, stable, and comfortable at all times. Made from premium quality PVC leather with stain resistant characteristics, the SL5000 has an extra dense foam padding that adds great support and comfort. The breathable open-cell structure limits heat being trapped. The SL5000’s wheels are engineered for quieter operation and greater resistance to foreign objects and debris. The 5-star base (made from aluminum alloy) keeps the chair solid, stable, and lightweight. The SL5000 is fitted with an industrial-quality Class-4 Gas Lift cylinders for extra durability and ease of use, while keeping your seat maintained at the proper height. The SL5000’s seat and height adjustability ensures correct ergonomic posture and prevents stress to your back. Having good range of adjustability allows you to be at an optimum angle in relation to your desk, this reduces back and neck pains. or decrease the tension by easily turning the knob to match your body weight. This allows you to rock comfortably, without heavy pushing, reducing muscle fatigue. better blood flow and eliminates pain and injury to the wrist and arms.